 The Growler Team Relay is a 50.5 mile running adventure from Old Ox to Caboose Tavern Vienna - and back! You choose how many friends you'd like on your team: minimum of two and maximum of eight. Each leg of the route varies in distance. Teams are responsible for providing their own car(s), van(s) or Winnebago and runners will transition at preset points along the course. Some runners may run two or more legs of the course while others may only run one leg...it's your decision! The Growler is social in nature. You'll have a blast with your team and meet new friends. While one teammate runs, others will play games, solve riddles and decipher clues to earn extra beer tickets. We'll throw a huge party at the finish line at Old Ox where you can celebrate with friends, new and old. The finisher medal is your choice of a commemorative growler or custom pint glass to signify your epic completion of the hottest relay series of 2019. For more detailed info, read the FAQ's and Growler Guide. Already signed up and want to see who else is on your team? Check it out here. We've cooked up something exclusive for the Growler Relays at Old Ox Brewery this year. In addition to your 64 oz. growler or pint glass, you'll get a series finisher medal! Medal one (left) will be the base for medal two (right) so you can proudly rep your team's accomplishment. ​​Registration fees include Growler Team Relay shirt, commemorative finisher growler or pint glass (your choice! ), one post-relay party beer and the greatest experience of your life. Registration is limited to the first 30 teams. ​Deadline for all teammates to register is Wednesday, May 15.